there’s a billboard i’ve become attracted to on highway 89 north in antelope hills. i got a piece up onto it about a year ago. the woman who works at the trading post initially hated the idea of having rodeo bullfighters pictured on the billboard. with support from customers who liked it, she tolerated it. it occurred to me it’s time to change it out which i thought i’d do last weekend but because i had friends visiting, it didn’t happen. then today, i looked at my 3 mockups from a couple weeks ago once more and realized i really like the original choice, which isn’t the print i’ve been cutting out for the past week. now i’m waiting for the arrival of the new print. in the meantime, my primary camera is broken. i’m thankful it didn’t happen during the 3 months of travel i recently completed. waiting for my camera to be repaired and the new print to arrive, i’m in a holding pattern which has allowed me to look back through old digital prints. 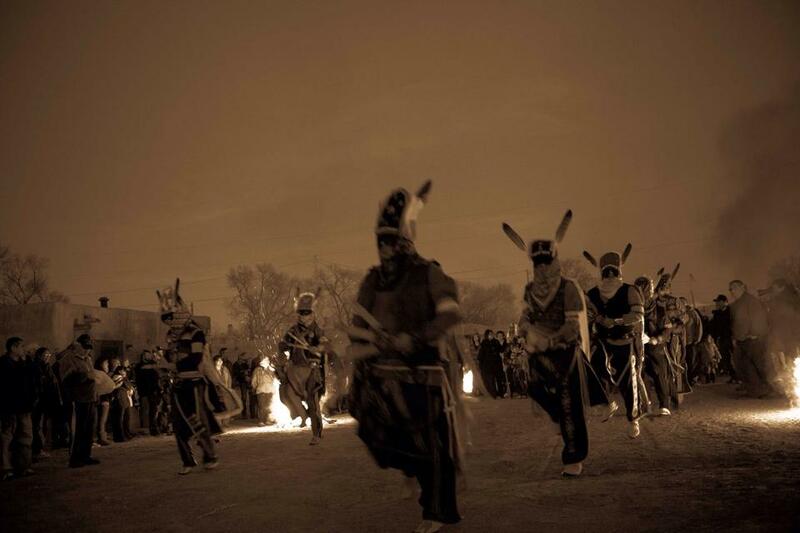 though the image above comes from a christmas eve celebration at ohkay owingeh pueblo north of santa fe, i fell in love with it again.